It is the beginning of a new century at Lake Manawa Resort in Iowa, but some things never change. When 22-year-old Emily Graham's meddlesome aunts and grandmother take it upon themselves to find her a husband among the resort guests, the spunky suffragist is determined to politely decline each and every suitor. She has neither the time nor the need for a man in her busy life. Carter Stockton, a recent college graduate and pitcher for the Manawa Owls baseball team, intends to enjoy every minute of the summer at Lake Manawa, Iowa, before he is forced into the straitlaced business world of his father. When Emily crashes into Carter at a roller skating rink, neither could guess what would come next. Will Carter strike out? Or will Emily cast her vote for a love that might cost her dreams? 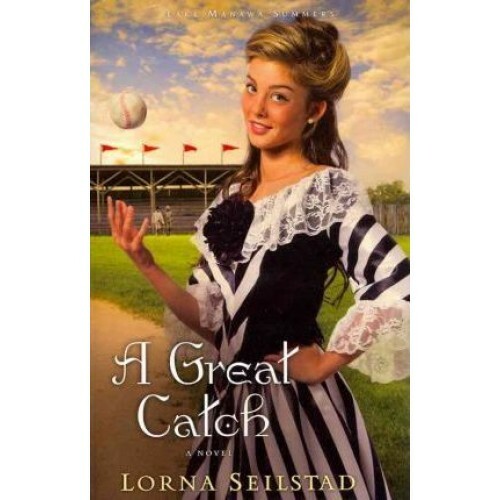 The perfect summer novel, "A Great Catch" will enchant readers with its breezy setting and endearing characters.